Story: A Detroit cop head to Beverly Hills to investigate the death of one of his buddies. Writer: Danilo Back, Daniel Petrie, Jr.
Alastair: Yes, there’s no doubt this is Axel’s story. Lani: Yes, always clear from the start who the protagonist is, although the trouble doesn’t start until a little while in. Alastair: Yes, albeit by proxy. Lani: Yes, although not the guy who actually pulled the trigger, it’s Victor Maitland who’s behind everything from the start. Alastair: Yes, although this is an interesting case of a murder that builds into a larger mystery. Lani: Yes; without the murder, Axel would have no interest in Maitland. Alastair: It’s not that kind of mystery, I think, although the meaning of each clue — except perhaps the coffee — is transparent enough that we can keep up. Lani: Not really; although we do see the clues, we don’t know what they might mean, and we’re not given the opportunity to play along the way a good mystery does. Alastair: Yes, although the problems aren’t necessarily approached in the smartest way. Lani: Yes. Even if we don’t understand what’s going on, Axel does, and he puts it all together. All threads pull together in the end? Alastair: Yes, if a little too early. The mystery is done by the end of the second act, and then we get twenty-five minutes of shoot-out. Story: Someone is murdering young women in London, so the police call in Sherlock Holmes to solve the crimes. Which he does in the opening of the movie, only to have the Big Bad escape which leads to him using his deductive powers to hunt him down again. Plus Moriarty. Detective: Sherlock Holmes, the greatest detective the world has ever known, here given a manic intensity and sexuality by Robert Downey, Jr. not to mention making Holmes an action hero. Jenny: Yes, definitely. He fills the screen, albeit a little more flamboyantly than the original Holmes. Jenny: Yes, definitely. He practically cackles in his black heart, challenges Holmes to catch him, and continues murdering with impunity. Lani: It’s very clear who the antagonist is, and he’s consistently the antagonist from scene 1. Jenny: Yes. Holmes is drawn into the story by previous murders and is spurred on by subsequent killings. Lani: Yep; it starts with Holmes saving one girl, then trying to stop the antagonist before he kills some more. Jenny: Yes, although there’s so much STUFF going on in this movie, it’s hard to find the clues. That’s fair play, though: red herrings are pretty much a staple in the mystery genre. Lani: Not really. There are clues like the smell of evidence, which are expressed by seeing Sherlock Holmes smelling things, but it’s not enough information that the viewer can solve the puzzle herself. While all the clues are shown, they aren’t really given, thus making it impossible for the viewer to actively participate, which is the element that I think rules this out as a mystery. I think a key qualifier for a mystery is that the viewer has everything she needs to solve along with the detective. Jenny: Yes. It’s kind of Holmes’s specialty. 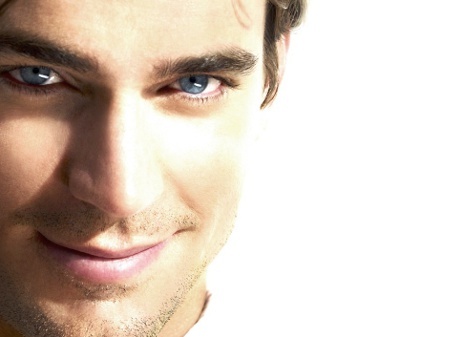 We conclude our Writing Communities series with a look at White Collar, a smart, likable series with two great central performances. Thanks to everyone for listening, commenting and being a part of the conversation. PopD will return after the summer hiatus! Lucy says: 4 Pops ~ Lucy’s comments are coming soon. Alastair says: 4 Pops ~ A fun, engaging show that is much smarter than it needs to be. Peter and Neal are great characters, their relationship is fascinating, and their world is one of sharp lines and gorgeous cinematography. Poll: Sorry, there are no polls available at the moment. U.S. Marshall Mary Shannon must protect her witnesses and take care of her family with the help of her partner and an unlimited amount of snark. Stay tuned after the music for our five-minute rant about season four! Lucy says: 3 Pops ~ Lucy’s comments are coming soon. Alastair says: 3 Pops ~ This show does so much right, but is compromised by a unlikable, self-righteous protagonist. Enjoy it for the episodic storytelling, but don’t hold out hope that anyone will meaningfully arc — or stick around if they do. In the first of PopD’s “Writing Communities” series, we look at action-adventure on the sun-bleached streets of Miami. 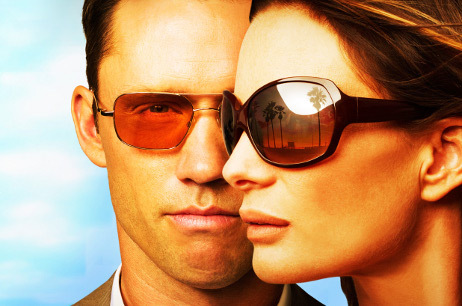 Were we burned by Burn Notice? Alastair says: 4 Pops ~ A solid premise and good execution is enlivened by a great cast of characters. The occasional false note isn’t enough to detract from a strong protagonist and a great supporting cast. Good, if not great. Read the chat transcript here!